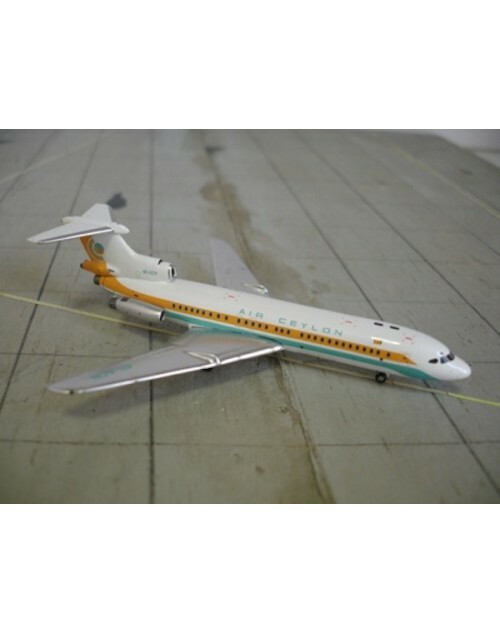 1/400 scale diecast Gemini Jets Air Ceylon Hawker Siddeley HS-121 Trident 1E with final color scheme. Item no: GJACE773. Registration: 4R-ACN. Features rubber rolling tires. Released in February 2008.